LKP Research is bullish on Federal Bank has recommended buy rating on the stock with a target price of Rs 121 in its research report dated December 24, 2018. Federal Bank has outgrown from the tag of old private sector bank by doing market share wins in businesses, acquiring customers rapidly, improvising processes & engagement levels with the clients, filling the service gaps, mending digital initiatives in line with private sector banks, building strong management bandwidth – to become at par with the other large private sector banks. However, this larger picture has been ignored in the chaos of NPA mess. Asset quality problems should also start to recede incrementally despite Kerala floods. In our view, once the dust settles on asset quality woes, the bank would get multiple re-rating. BUY with TP of 121, upside of 30%. The current valuations of the bank offer decent upside. Currently, the bank is trading at 1.6x FY19e and 1.4x FY20e ABV. We give a BUY rating on the stock with the TP of 121 (discounting its FY20E ABV by 1.8x times). 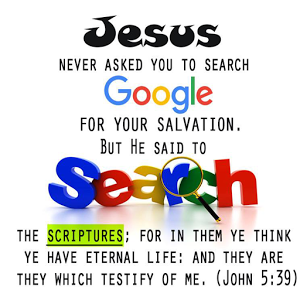 There is certainly a connection between morality (or morals) and ethics; dictionary definitions of one will usually reference the other. 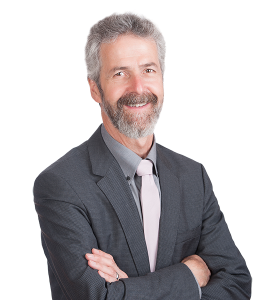 However, there is an important distinction that needs to be considered in the debate about morals and ethics: The basis for ethics must be morals, not the other way around. Unless there is a strong and consistent moral base—founded on something substantial—ethics will be subject to convenience, vested interests and fudge factors. The underpinning for decent human conduct must be a consistent and easily understood code of morality. Viaan Industries Limited, formerly Hindusthan Safety Glass Industries Limited, is an India-based company, which is engaged in trading activities of consumer durable s and electronic items. Entrepreneur Raj Kundra and his celebrity wife Shilpa Shetty Kundra founded Viaan Industries Ltd in Mumbai, India. The Company has a strong and growing presence across the promising sunrise sectors of Entertainment, Gaming, Licensing & Animation. The Company’s vision is to drive a lifestyle change in masses through technology offerings. Their unique business offerings enable the stakeholders, distributors, and customers to be part of the Indian growth story. 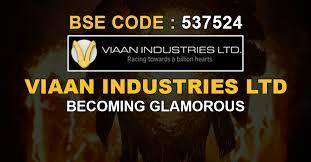 Viaan Industries has signed a strategic distribution deal with B Square Global Inc., Chandigarh. Viaan Industries launched Game of Dot, a 'spot the ball' game of skill six months ago and it has organically grown month on month to become one of the top grossing real money games for the company. Game of Dot (G.O.D) is an easy to play, spot the ball game where all you have to do is register online, buy your dots package and mark the spot using your skills where you believe the ball is in the picture. Professionals judge the time-based competition and the closest dot to the judges chosen position wins. PRAYER- PRODUCE SO MANY MIRACLES. 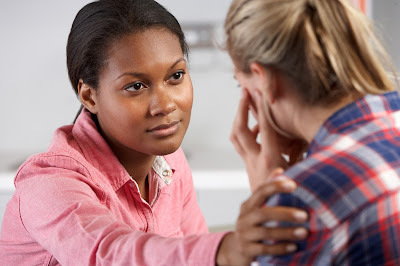 When I was around 17- God showed me that the boy I was engaged to was a homosexual and that he was in danger. 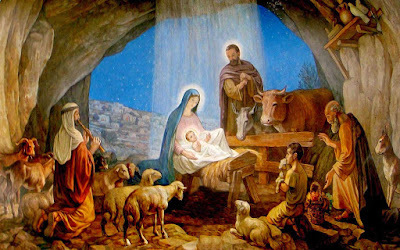 He showed exactly where he was-in a house of an older man. I was able to go there and talk to the man’s mother and prevent any other young men from going there. Check whether the book value is growing at the same rate as the EPS. If the EPS is growing at 30% p.a. then one should look at the debt and make sure that that is not growing at more than 30% p.a. Ensure that the balance sheet is strong and the debt is less than, say 30% of the equity. Check the quarterly performance of revenue, EBITDA and net profit. Revenue and EBITDA are the two components which reflect clear picture of the company’s operating performance in its segment. The operating performance of a company should reflect in its multiples; if the multiples are low and the company is outperforming at operating level, then the upside for the stock would be significant. Instead of looking at the bare earnings, look for the “sources” of earnings of the company. If you find that the potential to grow the business is huge in the segment where the company is operating, then it is better to take position now. 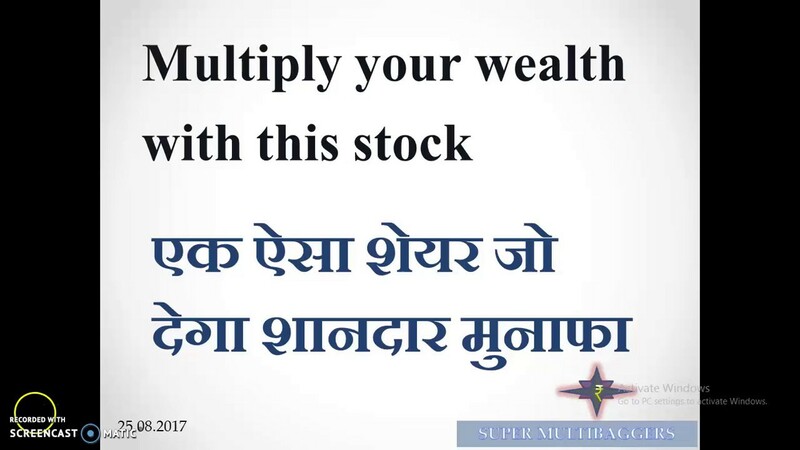 Don’t focus too much on whether the stock is a large cap, mid cap, small cap or micro-cap. Instead, look at the scalability of the operations. 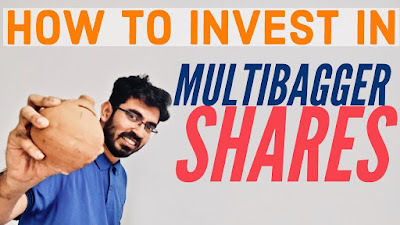 Pay attention to the Basic Earnings Per Share (Basic EPS) and price multiples. The prices of the stocks change on the quarterly performance of basic EPS reported by the company. Investors should calculate the Trailing Twelve Months (TTM) basic EPS and revenue to calculate current Price to EPS (P/E) and Price to Sales (P/S) respectively. If the company has started performing significantly well and its EPS is growing better than its stock price, then one could consider it a better chance for investments. 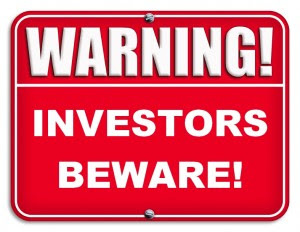 Investors should read and understand the quarterly presentations uploaded by the companies on their websites. Investors would get the recent announcements related to capital expenditure, structural changes in the company, other management decisions, etc. Mentally tough people don't hesitate to embrace change. They welcome it with positivity and optimism. The worst thing that can happen to you is not having any change. Many times, change can be an opportunity to step up in life. When you are doing the same thing over and over again, the results won't be any different. You should be willing to adapt to change with an open mind. Function: From more than last two decades with cylinder manufacturing as its core activity. Launched a new type of product in the name of go gas elite. Features of go gas elite: BLAST PROOF, LIGHT WEIGHT (about half of weight than metal cylinders) , Translucent Visibility, Elegant Design,EASY handling etc. Major clients: PSU like Indian Oil, Hindustan petroleum, Bharat petroleum and Private players. 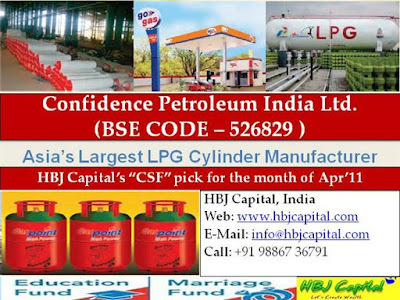 CAPACITY:CURRENTLY COMPANY HAS 112 LPG DISPENCING STATIONS AS PER Q22018 PRESENTATIONS. 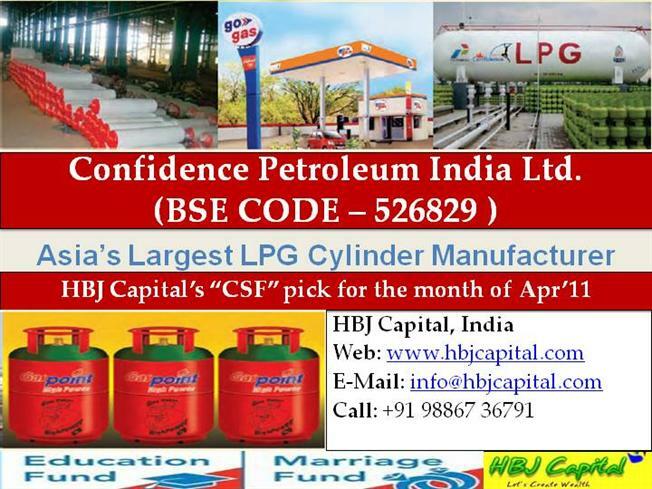 3: BOTTLING: India’s largest Private Sector LPG bottler in India. Major clients: Actively providing Bottling assistance to Oil major PSUs Indian Oil, Bharat Petroleum, Indian oil etc. Capacity/PLANTS: 58 POTILLING PLANTS in 19 states . Note: Not posted anything on financials of the company as I m new in investing and researching on that front . Not invested. If anything I have written wrong please correct me. 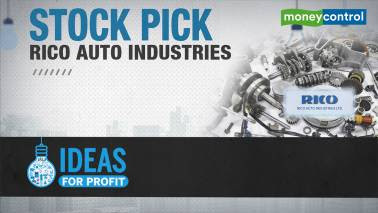 STOCK MARKET--Rico Auto Industries Ltd | Long Term Recommendation by a Broker. leading automobile OEMs in the Indian and international markets. Currently, BMW, Renault, Maruti Suzuki, Hero Moto Corp and Cummins are RAIL’s marquee clients. During FY15, the company fell on rough times, mainly due to the split of the Honda-Hero Group tie-up that impacted both top line and profitability. During the past few years, RAIL transformed from a two-wheeler (2W) component manufacturer into a diversified casting and machining component provider across different sectors. It also underwent significant process restructuring that improved its profitability. 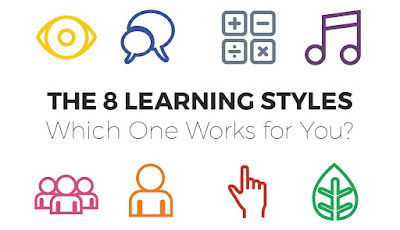 Are you a person with a degree in finances and accounts? Are you a person with experience in stock exchange then read the following question and answers. 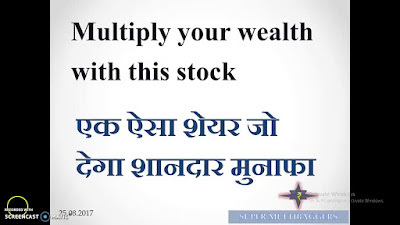 Stock Market, Equity Market or Share Market is the aggregation of buyers and sellers of stocks (called shares) which represent ownership claims on business, stock exchanges list shares of common equity as well as other security types like corporate bonds and convertible bonds. It is an institution where humans and computers buy and sell shares of companies. 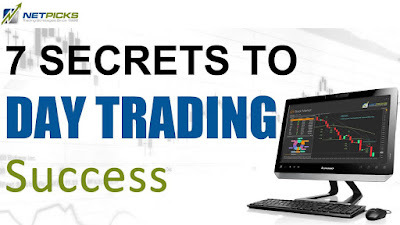 In order to be apart of the stock selling or trading the foremost condition is the person should have a demat account. 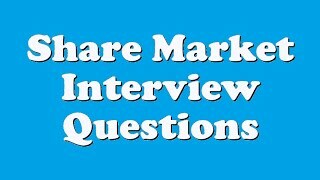 So grab an opportunity to work as Field Sales Manager, Executive, Management Analyst and so on by looking into Stock Market job interview question and answers given. Hence we believe that the Rites stock should be purchased at the current price for a price target of around Rs 432 over the next 18 months. 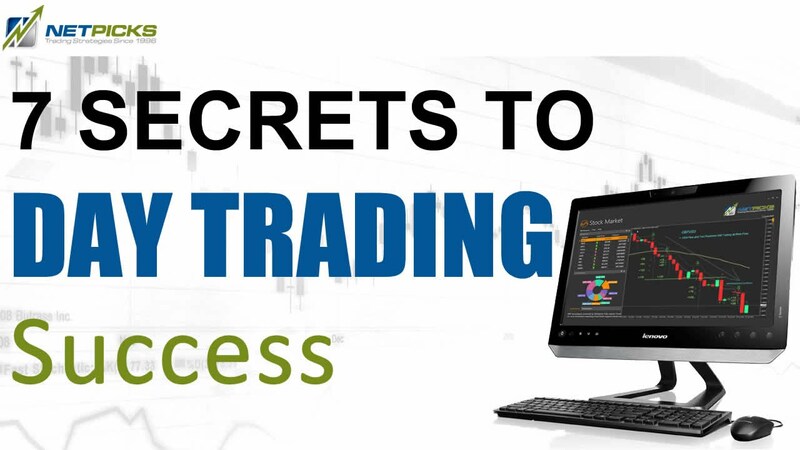 One of the widely used tools is the 200-day moving average. You simply have to plot the 200-day moving average on the price chart. 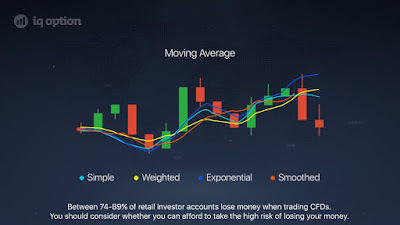 When the price of the stock rises above the moving average line, it's a buy signal, and when the price falls below the moving average line, it is a sell signal. 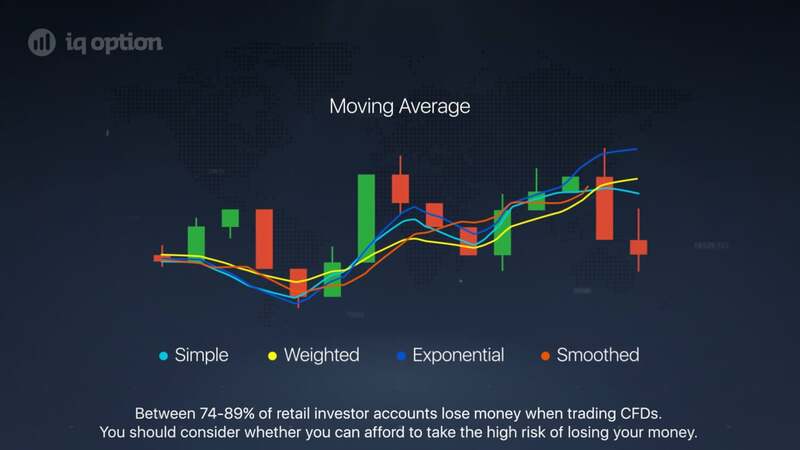 One can also look the 50-day moving average or the 10-day moving average. Trading is a game of probability. 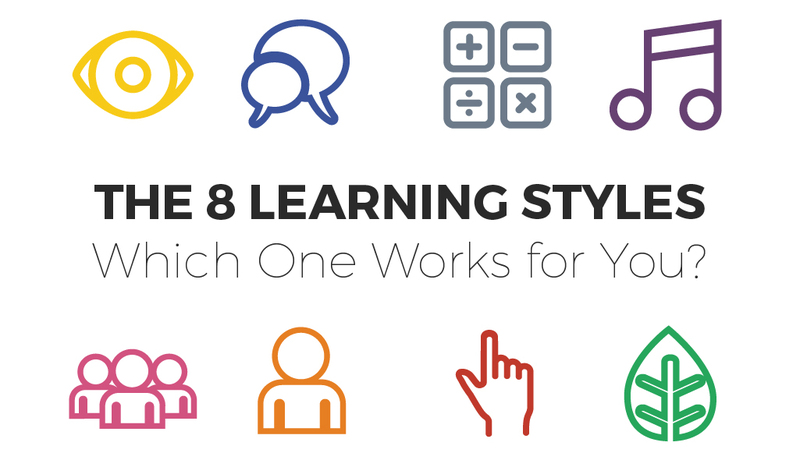 So, you have to arrive at your own methods to decide which parameters suit you the best. In the graph, Moving Averages, you can see the Sensex movement compared to the 200-day moving average of the Sensex. The brown line is the moving average line. In February, the line went above the price bars and the Sensex started falling. When the 200-day moving average fell below the price bars in April, the markets started going up. In the graphic, the Sensex is below the moving average, indicating bearishness. But this is just one parameter. This details collected through an interview with company officials and spot company details. Shivalik Bimetal Controls Limited is in the business of joining materials through different methods such as diffusion bonding, cladding, electron beam welding, solder re-flow and resistance welding. They can manufacture multi-gauge and multi-material strips. They primarily manufacture Shunts and Bimetals since 1985. Thermostatic Bimetals: A strip consists of two or more layers of different alloys firmly bonded together. One layer of alloy having higher coefficient of thermal expansion compared to other layer. So when heated, alloys of different materials would expand to different lengths and would change the curvature of the strip without causing any damage to the bonding. This simple property can be used in many electrical applications where 1) Temperature Indication is needed; 2) Control of any parameter against temperature is required; 3) Where compensation in circuitry is required in adjustment to ambient temperature; 4) In application where heat is converted to mechanical energy. There are umpteen applications of Bimetals in electrical equipments like Circuit Breakers, Overload Relays, Energy Regulators, Light Flashers, Automatic Fuses, Pressure Gauges, Electric Iron, Coffee makers, Washing Machine, Baking Oven, Refrigerator, Water Heater, Fluorescent Light Starters and many similar areas. In Automotive, it’s used in Exhaust manifold Controls, Turn Indicator, Oil Pressure Gauges, Circuit Breakers, Oil Cooling Regulator etc. Quality Bimetal Strips are made of “Kanthal” Alloys and other specialized alloys as per requirement. “Kanthal” is the trademark of Iron Chromium Aluminium alloys made for wide range of Resistance and High Temperature Applications. Kanthal is the product of Sandvik group and made with specific heating technology provided by Sandvik. Shivalik has the Furnace bought from Kanthal - Sandvik which they purchased in 2010 when Sandvik sold one unit second hand. May visit www.kanthal.com 5 for more details about the product and technology. 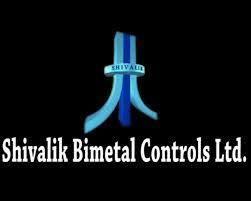 It is pertinent to note that Shivalik uses Hot Bonding Process as compared to most volume based Bimetal manufacturer who produce it by Cold Bonding Process. Advantage of Hot Bonding is long coil of material without welding and high bond integrity. Cold bonding needs subsequent sintering process to remove oxides and other impurities from metal interfaces to improve quality of bonding. It is unsuitable for critical high temperature applications. 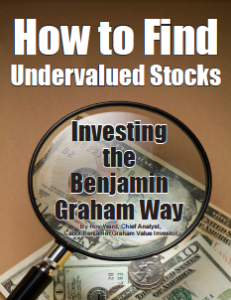 STOCK MARKET-Benjamin Graham’s seven time-tested criteria to identify strong value stocks. 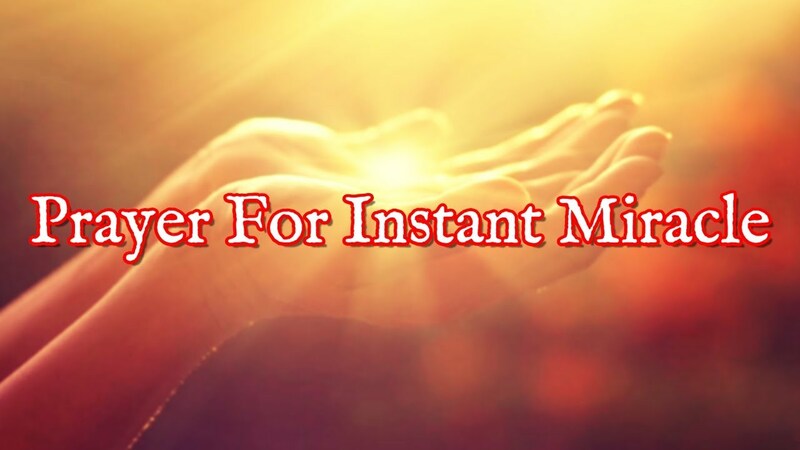 I am yet to meet anyone who wanted the best out of life but was keen to make changes. This is not to say such persons don’t exist, they do. The point here is that to get better in one area or the other in life, you need changes and there are accompanying lessons that makes it happen. Many have battled the fear of failure; others have an uphill to climb because they lack self-belief.